And it's worth P400 million. 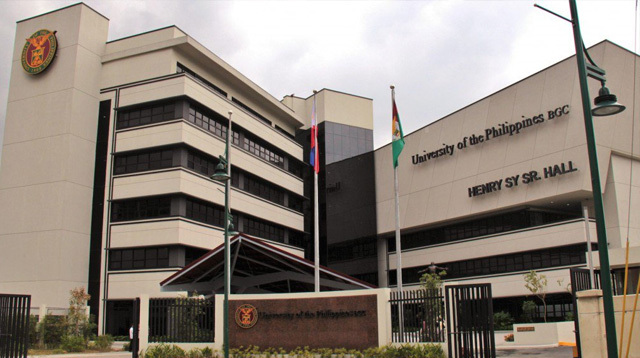 The University of the Philippines (UP) has a new campus in town and it’s located at the center of Bonifacio Global City’s education hub in Taguig City. The satellite campus, currently called UP BGC, is located on 32nd Street beside the International School and will cater to the academic needs of professionals, The Inquirer reported. “We’re targeting here the professionals—people who are already working, for their executive development programs and continuing education programs. Also, the venue can start offering programs geared for the international market,” UP President Alfredo Pascual said. Pascual also said they hope the UP BGC expansion will bring their programs closer to professionals deterred from taking courses in the Diliman main campus due to heavy traffic. “Given the commuting challenge that we have in Metro Manila, the attractiveness of a place for whatever you do depends on how accessible it is,” he said. The UP BGC features a nine-story building named after SM tycoon Henry Sy. Sr. who built and funded the P400-million project. The whole campus sits on a 4,300 square-meter lot where students can enjoy top-notch facilities including 29 classrooms, 3 laboratories, an auditorium and a moot court among others. UP BGC will begin offering its postgraduate courses including law, business, engineering and architecture this August.